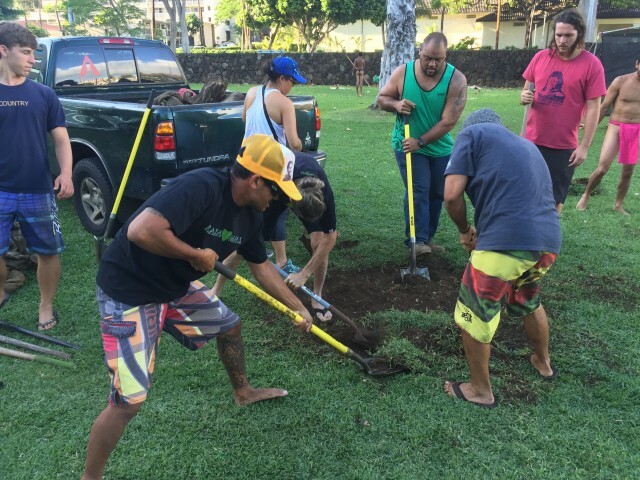 Supporters of Nai Aupuni and Aha Aloha Aina came together to express very different approaches to Native Hawaii governance, but to also agree that unity is a shared goal. 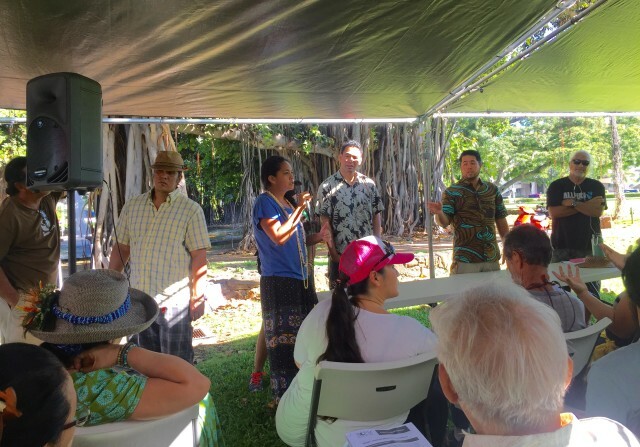 On the 173rd anniversary of Sovereignty Restoration Day (La Hoihoi Ea), supporters of two different paths toward self governance for kanaka maoli gathered Saturday to kukakuka (have a discussion) at Thomas Square in Honolulu. On one side were several participants in the Nai Aupuni process in February that produced a declaration and a constitution. On the other were several members of Aha Aloha Aina, which has held a series of conventions (aha) of its own this year. Katie Kamelamela holds the microphone as Makana Paris, Zuri Aki and Clifford Kapono (at right) await their turn to speak. Kaipo Dye, not pictured, also was part of Nai Apuni’s aha. 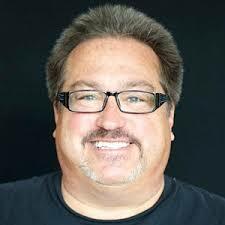 The talk story was scheduled to last an hour but went 30 minutes longer, thanks to passionate arguments back and forth between the two groups and audience members. Generally, the Nai Aupuni group argued that, while the aha process was flawed, it was empowering to see 121 Hawaiians from all over all in one room to talk about governance. They spoke of their kuleana (responsibility) to their families and other Hawaiians, and a desire to grow lahui (a nation). 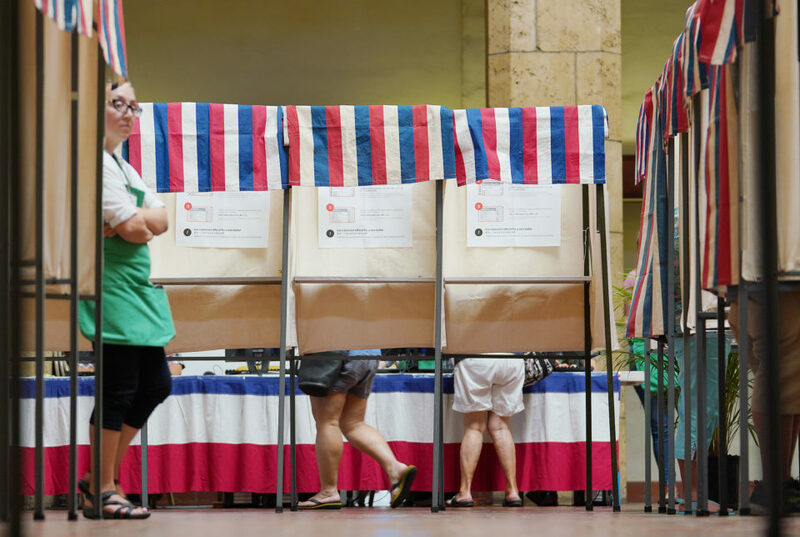 And while the process was largely out of view of the public and media, other Hawaiians could have chosen to attend but chose not to or did but later left disappointed. 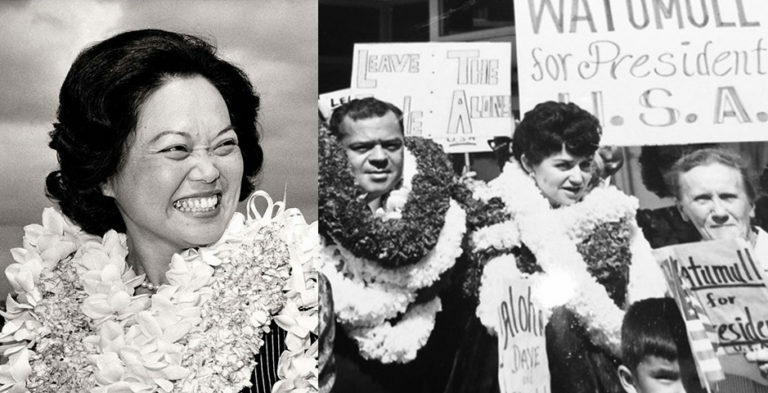 From left: Kalama Niheu, Lehua Kinilau and Healani Sonoda-Pale of Aha Aloha Aina at the kukakuka wear T-shirts declaring opposition to Nai Aupuni. 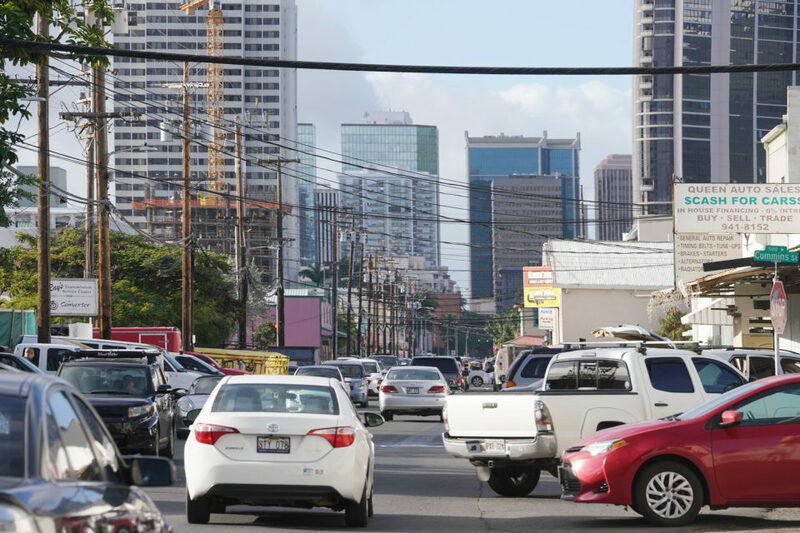 They also tried to clarify where the nearly $2 million to pay for the aha came from — from the Office of Hawaiian Affairs by way of a third party, a nonprofit called the Akamai Foundation. The Nai Aupuni group (a misnomer, as Nai Aupuni technically no longer exists) was peppered with pointed questions from Aha Aloha Aina and others. They complained that the Nai Aupuni process was exclusive rather than inclusive, unlike their own aha. “Hewa!” said some, meaning shame. 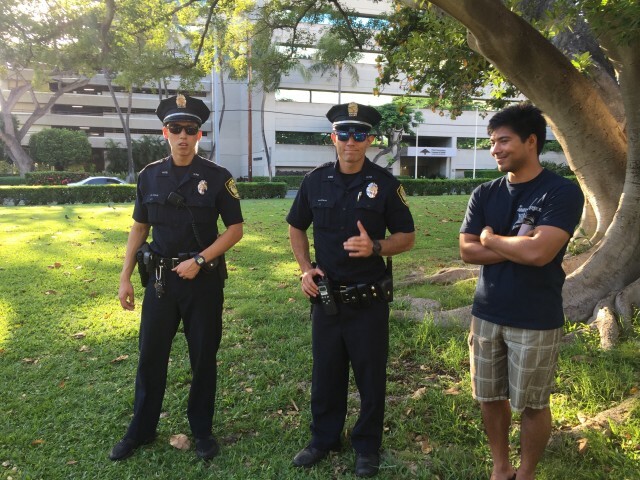 Honolulu Police Department officers were on hand at Saturday’s event, something that made a few participants at the kukakuka uncomfortable. “Pilikia!” said others, meaning trouble. Other arguments directed at Nai Aupuni: OHA should not have used money intended for Native Hawaiian beneficiaries, the state and the U.S. Department of the Interior should not be parties to nation-building, and it was wrong that Hawaiians trying to gain access to the Nai Aupuhi aha at the Royal Hawaiian Golf Club were arrested. It’s unclear whether the kukakuka helped change anyone’s position. But a shared desire for unity was expressed by many. An imu was dug at Thomas Square to cook food. 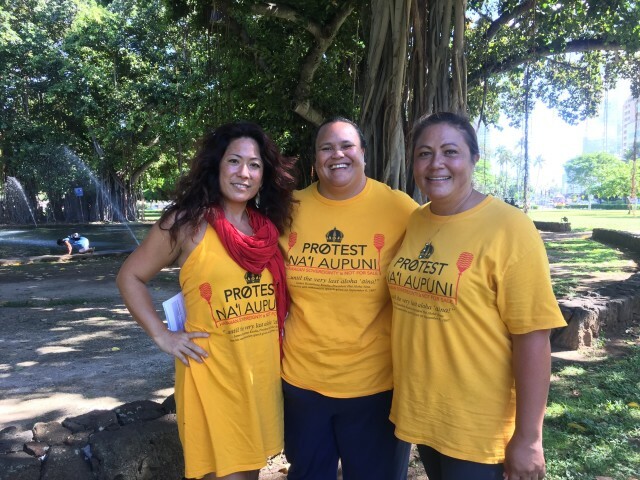 For now, the Nai Aupuni process has shifted into educating people about what the aha accomplished and raising funds in hopes of holding a ratification on the constitution. 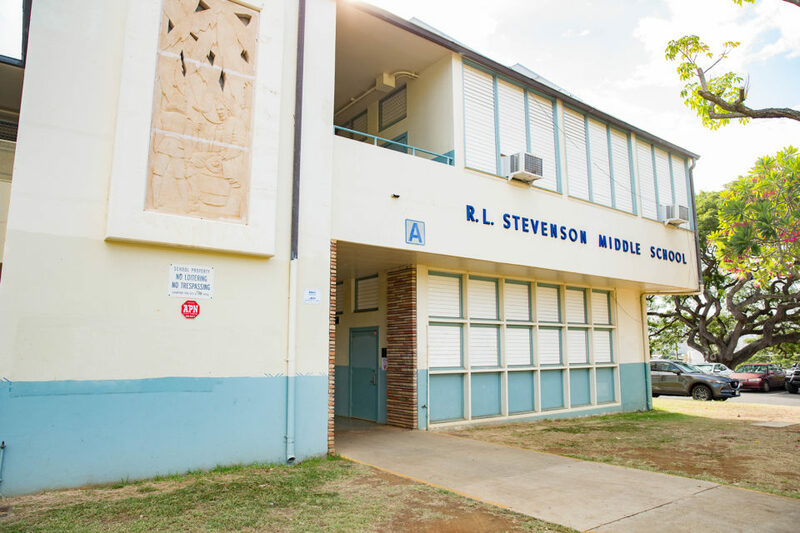 Aha Aloha Aina continues its education and nation-building efforts apace. July 31 marks the day in 1843 when British Admiral Richard Thomas ordered the Hawaiian flag raised and the Hawaiian Kingdom restored after five months of British rule in the islands.